When was the last time you made a scarf for yourself? Luxuriate in my infinity scarf and keep warm on a cold winter day. This pattern for a fashionable soft cowl makes a wonderful gift for yourself or for someone special to you. And it works up so quickly! 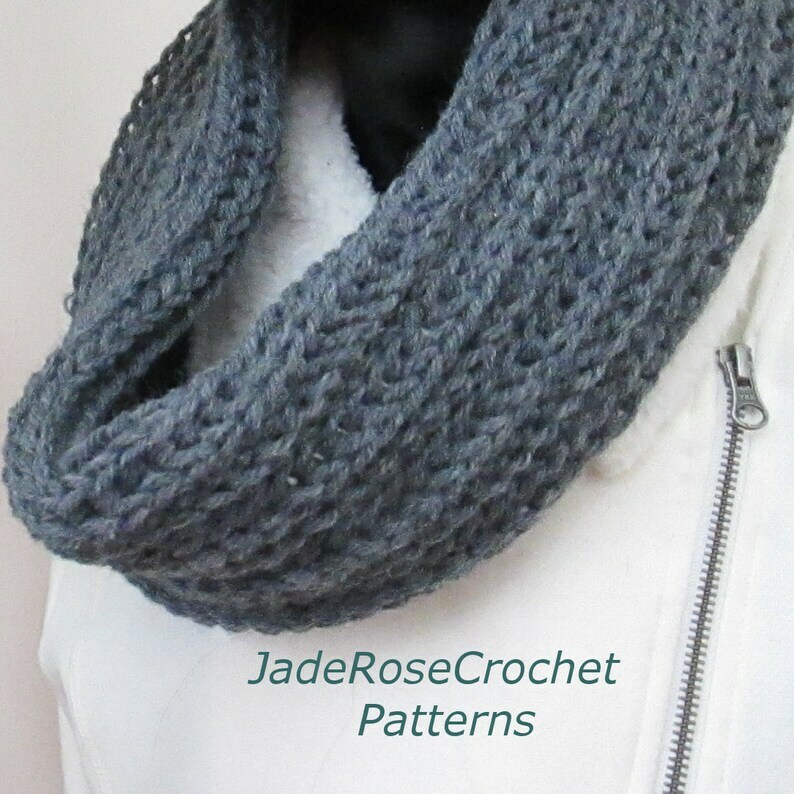 I created this for a dear friend who absolutely loved the size and the soft squishy feel. Skill level: advanced beginner - knowledge of back post stitches required. Crochet Hook Size L - The larger hook required for this pattern makes it a wonderful project for those with arthritis or limited dexterity in their hands.